When you and your siblings are worried about an aging loved one—like a parent—it’s important to come together. Working jointly to support them can make the process of taking care of your loved one much easier, especially if that involves therapy. Of course, it’s not always easy for a family to see eye-to-eye on decisions regarding aging parents. But when you’re able to show continued support, your parent, grandparent, etc., will reap the benefits. Plus, you’ll know that they are in good hands and getting the help they need. So, how can you all come together to support your loved one’s senior therapy? Let’s take a look at three key ways to make it happen. Sometimes, people who are getting older might not agree to senior therapy. They might not think they need it. And, therefore, it can be a frustrating conversation to have. If you and your siblings work together to talk to your aging loved one, you can assure them with a united voice that therapy will improve their overall well-being. Obviously, there’s a reason you want them to consider senior therapy in the first place. By opening up as to why you think they need therapy and coming together as a family to do it, your loved one may be more open and accepting to the idea. Senior therapy creates new challenges for everyone involved. It’s important for you and your siblings to provide encouragement to everyone when these challenges are difficult. Additionally, you should celebrate even the smallest victories. 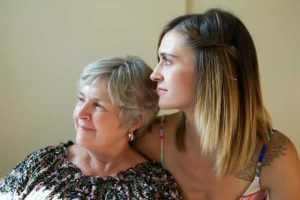 As your aging family member goes through the therapy process, they’ll be learning to deal with a variety of issues. These issues can range from working through loneliness to handling medical difficulties. You can support them by talking to them about the struggles they’re facing and praising them for the progress they’re making. As family members, we want to do what’s best for the people we love. This is especially true as they age. Unfortunately, some things will always be out of our hands and are better left to professionals. That’s a hard pill to swallow for some people. Maybe you have a sibling who is struggling with the idea because they’ve been the primary caretaker of your family member. But when you and your siblings talk about the benefits of senior therapy, it often becomes clear that it’s the best solution for a family member who needs help. In fact, senior therapy is usually beneficial for everyone involved. That’s why it’s important to realize that professional help is a great way to support aging individuals who are struggling with a certain area of their life. Everyone has to be on board in order to make the process easier, of course. And when that happens, it’s likely your loved one will get more out of the therapy, too! It’s not always easy to watch an aging loved one go through senior therapy, no matter the situation. You might even experience some push-back from that loved one, initially. That is actually one of the biggest benefits of having a strong family unit and siblings you can work with. You can come together to encourage your family member to get the help they need. And you can let them know you’ll support them every step of the way. Don’t put yourself in a state of constant worry over the senior family member in your life. Talk with your siblings (and the aging senior) about the prospect and benefits of senior therapy. If you’re still unsure and want more information about what to expect, click here to read more about therapy for seniors or contact us. Together, we can talk about the various options and tools involved in this type of therapy. We’ll also discuss why it could be the best option for your aging loved one.